Mark Hewington | Email Developer In Swindon. Need help with email marketing? contact me to see how I can help you. Trusted by many of the world's biggest brands to build and deliver millions of emails. Hi there – I am Mark Hewington and welcome to my portfolio website, created to archive my email designs. Currently, I am working at Communisis as one of Nationwide Building Society’s onsite email developers, managing campaigns within SalesForce Marketing Cloud to deliver best email practices for Nationwide and their subscribers. (New) Check out this Interactive Email. Gmail And Android Friendly Emails. As an email service provider expert I have over 6 years of experience within email marketing, working with the biggest and best service providers. I have used many email service providers throughout my career for e-commerce, transactional and business to business marketing. 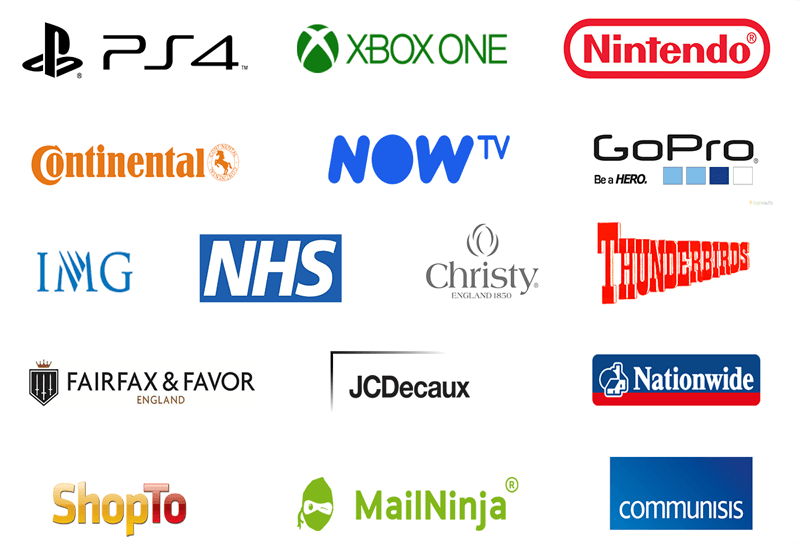 Here are a few brands that I have worked with over the years, providing bespoke designs, email solutions and landing pages. Some of these brands are mega brands, others are local businesses, but all were treated with the same respect and best practice was adhered by. As you may have already gathered, I am passionate about email development and email design. I believe that emails play a fundamental role in businesses and how businesses communicate to their customers. I believe it does not matter how big or small your business is, email helps to provide important information or updates to your customers. No matter if it is a newsletter or an offer, this information is significant to your business and it is appropriate to the subscribers receiving it. Every email I build or design, I ensure matches the received brief and every brief that I do receive I quality control to ensure the layout is compatible with email building. I also check to see if email best practise is being followed and then check to see if the design matches the website or product it is related to. On many occasions, within my career, companies or staff members have needed a helping hand and this is the type of challenge I thrive on because I enjoy helping people and creating a design that is effective and reflects the brand they are representing. This is where my experience comes in handy. I always communicate with clients and staff members so they know why they should, or should not build emails in a certain way. This helps builds trust and educates everyone involved. Normally, my recommendations are because of email best practise rules, but I also like to show people the potential of an effective email design where considerate placement of content will help the subscribers engage with the email. My experience comes from a few different walks of life. I have been a web designer and a frontend developer focusing on user experience. All of this experience has helped me shape my career and find my passion for email development. The reason I love email development is that they are tougher to build than a website. You have to cater to so many different clients and so many different devices, each device having its own quirks and inconsistencies that make building a robust email challenging and to be honest, very frustrating. As of December 2017 - I currently support over 75 email clients, plus all web browsers with my HTML email development. I find that most email clients can be supported if people are willing to adjust the design ever so slightly, but with that said, I am still trying to push the limits of email development and fully support Android emails within the mobile view. The future for me is extremely exciting because I am currently working for a fantastic company and also, in my own personal time, I have created this portfolio website. Next on my list is to continue with my research and development within interactive emails and my own bespoke framework that fully supports Android, Samsung, Pixel and iPhone as well as all other standard email clients. Finally, I would like to continue to bring accessibility to emails so everyone can read and engage with their emails without hesitation.